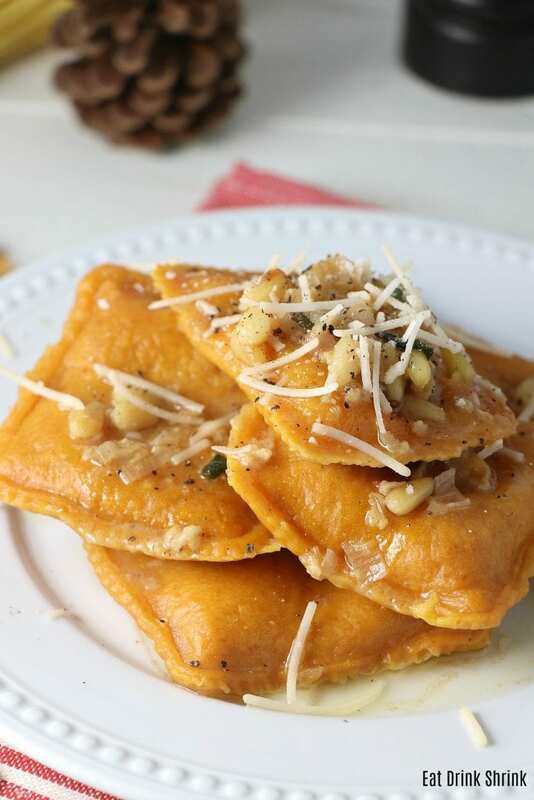 Vegan Pumpkin Ravioli - Eat. Drink. Shrink. Long before my homemade pasta days, I rarely ever craved pasta. For whatever reason, I didn’t find it satisfy, and just equated it with countless carbs that contained no nutritional benefits. However, pasta shouldn’t be shunned at dinner tables. Pasta is actually a proved gateway to get more veggies on your plate as you can pair it with whatever greens you like! As a whole though, unless it’s homemade, it’s just not the same! Above is the first version I created back in 2013 in an advanced culinary course in during undergrad at NYU. The pictures didn’t do it justice, so I took the liberty of reshooting the images and providing a tutorial just to convey how easy it homemade pasta is! 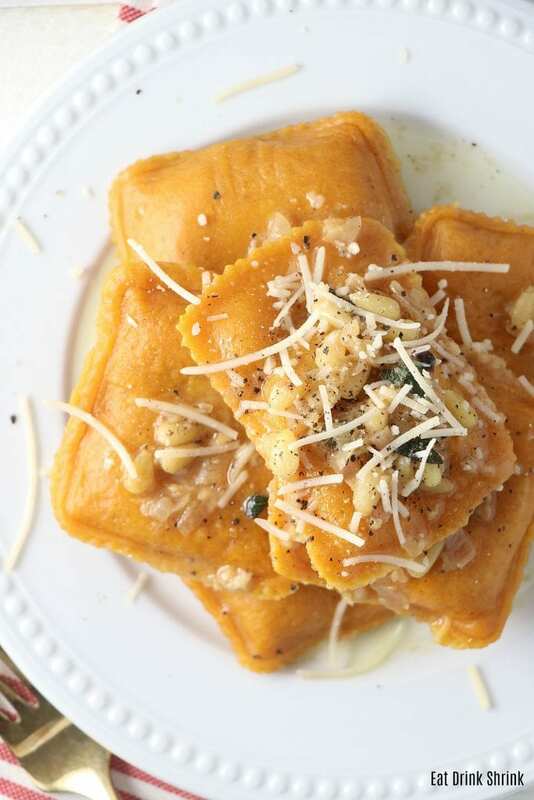 What’s wonderful about this recipe is that it has minimal ingredients, is affordable, doesn’t even need eggs like most typical pastas, is perf for the holidays, can be made in bulk and frozen for future use and is non vegan approved! 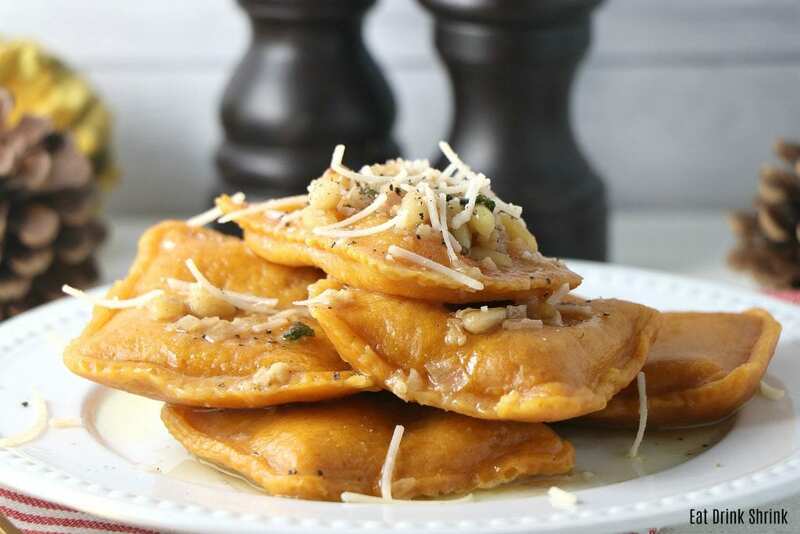 If you’re looking to break into the world of homemade pasta or need a game changing holiday concept that can even be made together, you have to try my recipe for vegan Pumpkin Ravioli! 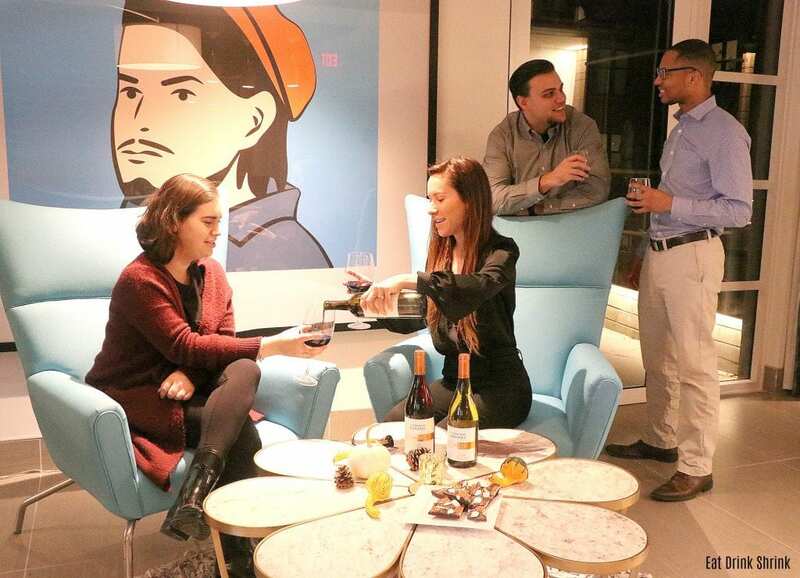 I rarely enjoy wine with a dish as I love to taste food in the fullest capacity. 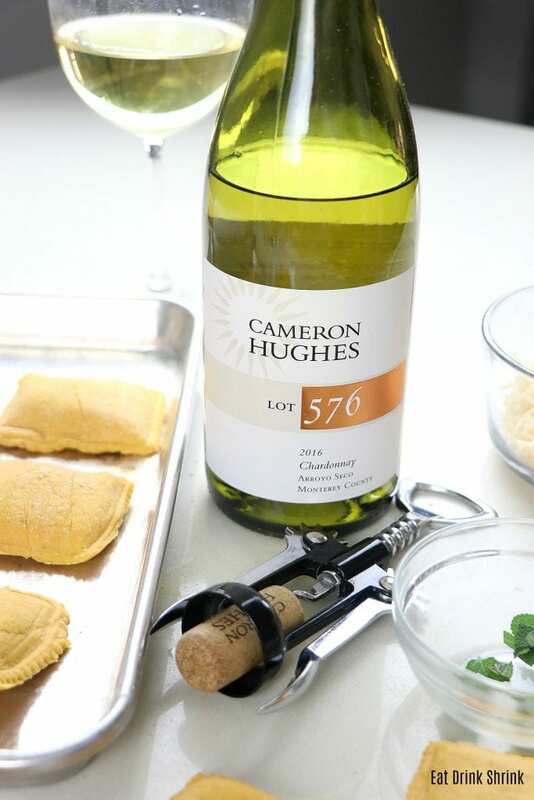 However, this particular dish pairs seamlessly with a glass of Cameron Hughes chardonnay! 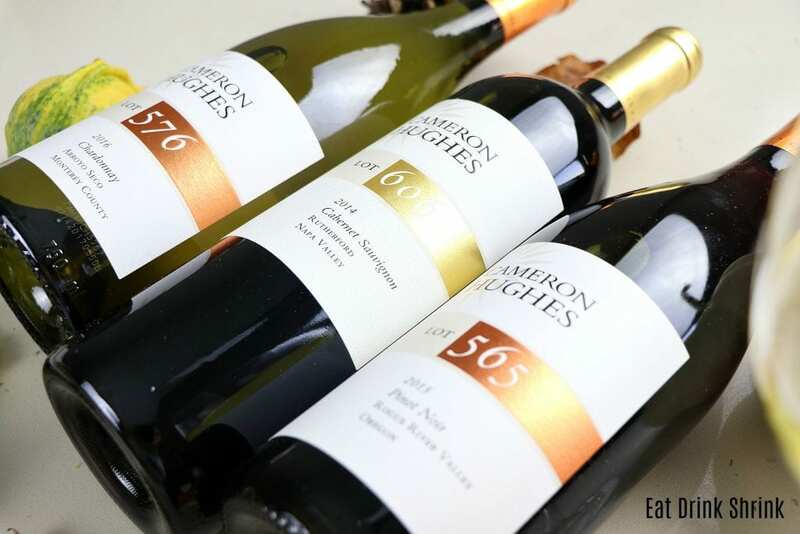 It comes in all varieties and truly is exceptional wine with extraordinary value. 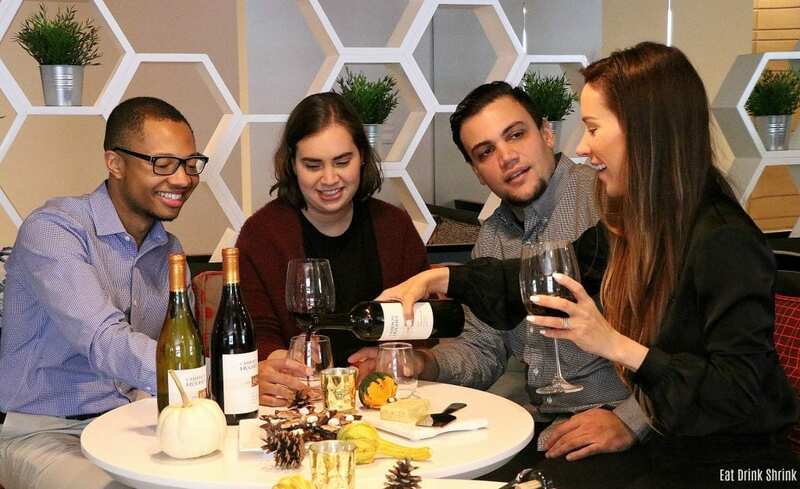 The quality of the wine solidifies that great wine doesn’t have to be expensive! 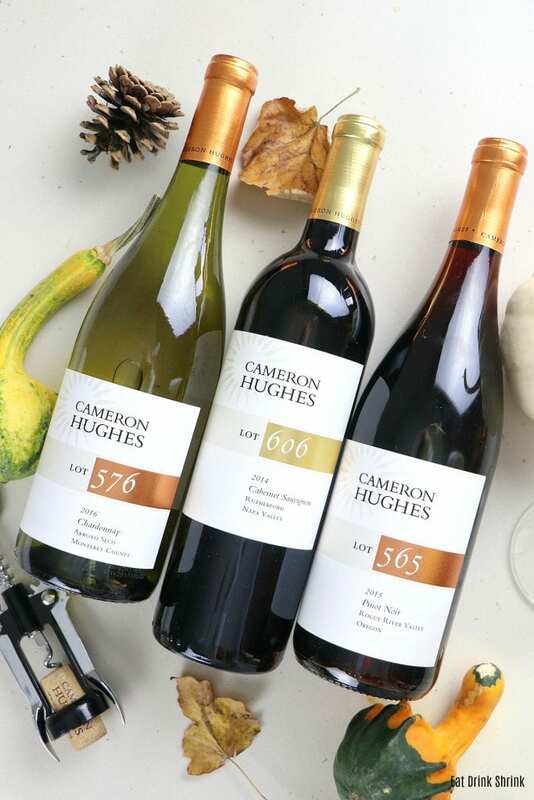 If you’re looking for that perfect glass of white, you need to explore Cameron Hughes wine! Filling: mix all the ingredients in the bowl, add the egg last! Pasta: Lay the flour in a pile and make a well in the middle. Add the pumpkin puree and continue to fold in the flour. A dough should gradually form. If too dry add more pumpkin and vice versa. Once a soft dough forms take a floured rolling pen and begin rolling out to a thinner width to take it through the pasta machine. Cut the dough in rectangular strips. Feed it through the larger width a few times first, then the thinner width a few times. The thinner the dough the easier it is to enjoy! Too thick with turn out chewy. Make sure to cover the dough with a damp cloth if not being used. Cut into a long strip and begin making dollops of the filling on each at least a few inches apart. 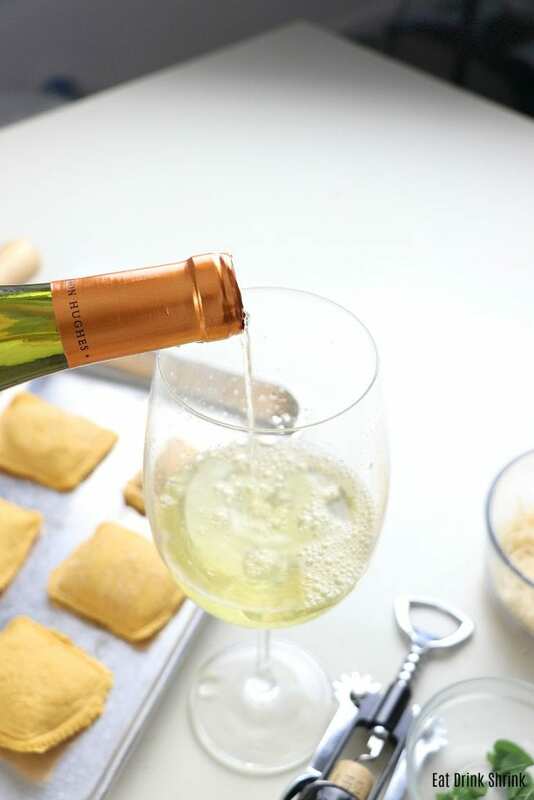 Bring the remaining pasta sheet over the top and press and seal the edged with wet fingers. Take the pasta cutter and press into the dough. Bring a large pot of water to boiling and add salt. Boil 2-3 ravioli at a time until they begin to float to the top. 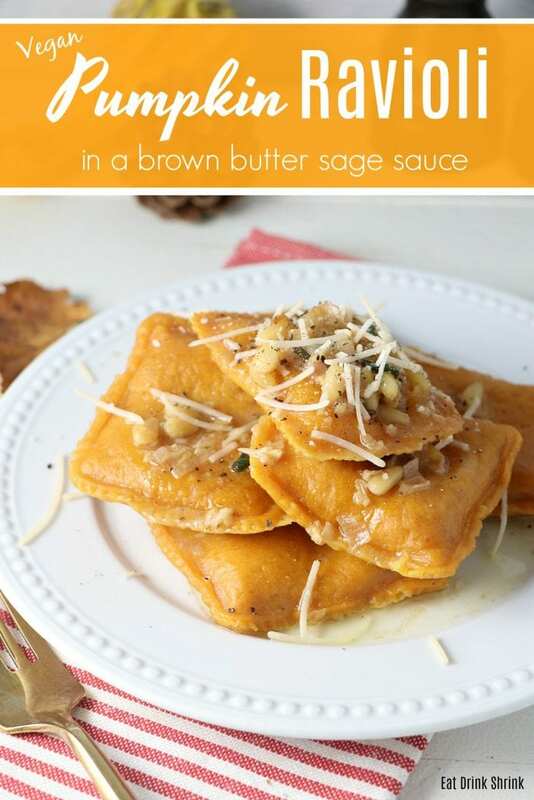 Top with the brown butter sauce, garnish with parm, and fresh black pepper, enjoy! 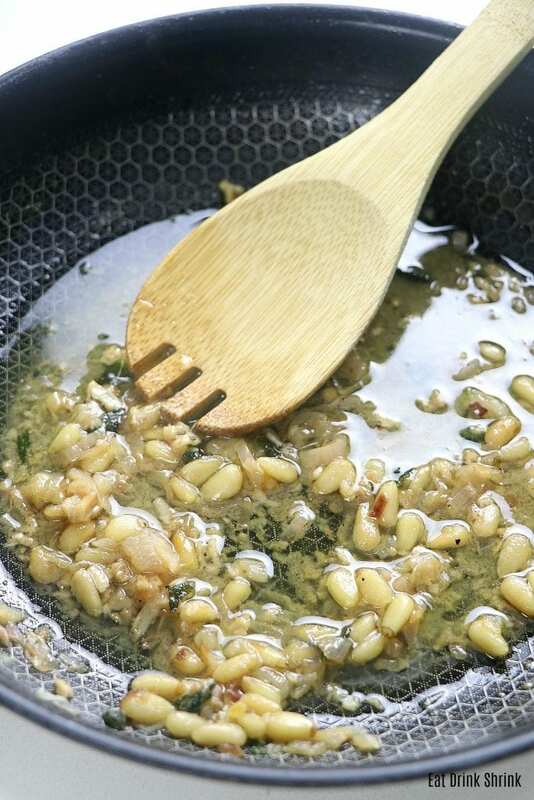 Sauce: In a big skillet toss in all the ingredients adding the sage towards the end and the wine very last. Reduce the sauce by 1/2 cup. Using medium-low heat let it brown the butter gently. Add salt and pepper. Don't let the butter burn. 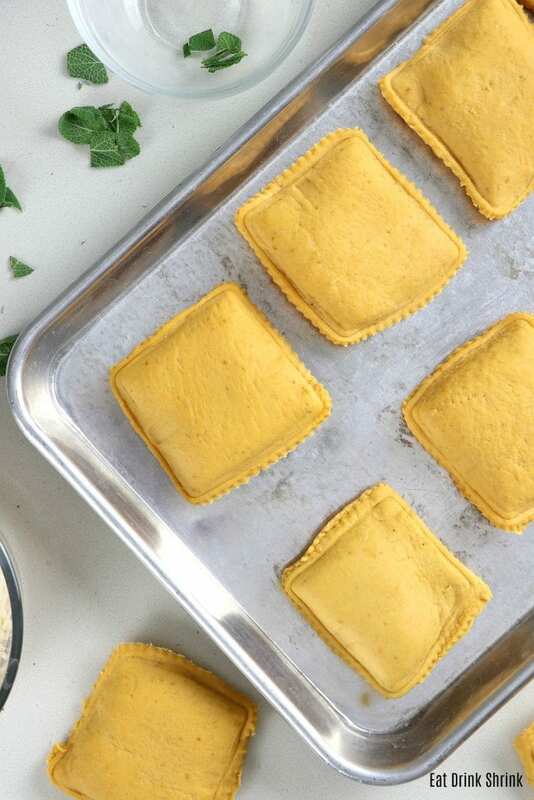 Toss the ravioli in sauce or drizzle on top coating both sides. Sprinkle parmesan cheese and black pepper and serve right away! Hi there! How much pumpkin goes into the dough and how much into the filling? I couldn't really tell from reading the recipe. Hi Irene! I didn't note specification on the filling, but I believe I used around 1/2 cup pumpkin as you only need about 1tbs+ for the filling. Let me know if the helps!